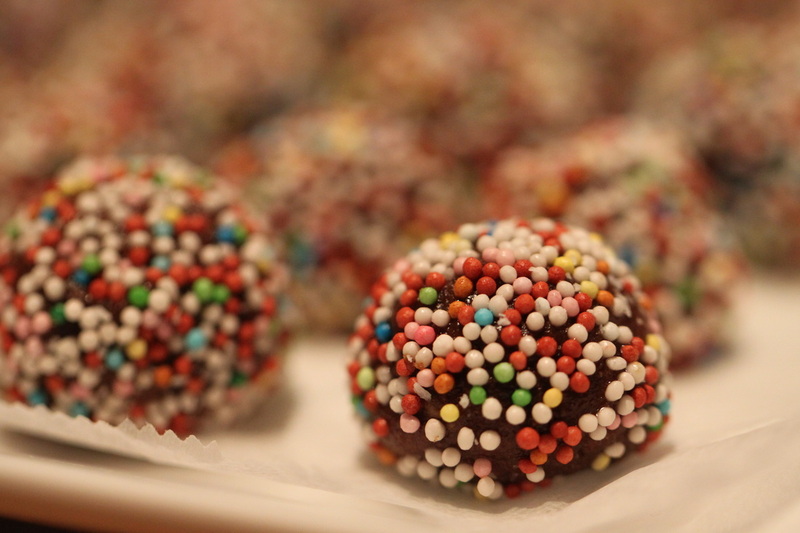 Or, what I like to call no-rum rum balls. Easy and tempting. And the best way to celebrate my new food processor. 1. 200 g whole grain butter biscuits (give or take, since people tend to steal once I open the package). Pretty much any biscuits will do. 2. A small can of sweetened condensed milk or around 200 g of evaporated milk+ some agave syrup. 3. (Optional) Around 80 g of ground nuts. I just put some walnuts in the food processor, never really measured them. Use non salted cashews or almonds or whatever you like best. 4. (Optional) Cocoa powder, if you prefer chocolate taste. 6. (Optional) Coconut shavings, sugar or chocolate sprinkles. Put the biscuits in the processor or just smash them into small crumbles. Add the ground nuts, milk, cocoa, and rum flavor. Mix well into a sticky dough. 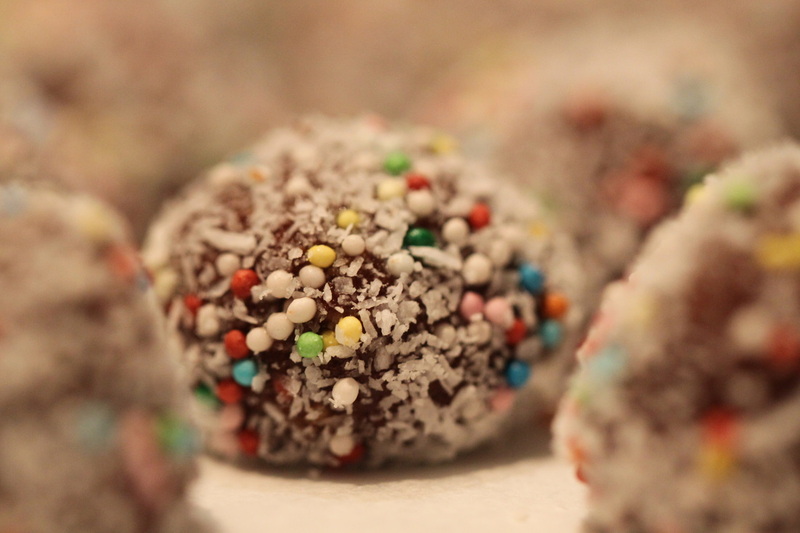 Make small balls, roll in coconut shavings/ sprinkles. Line on some parchment paper and leave in the fridge for half an hour. Or just eat.